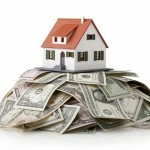 Polk County Insulation > Home Insulation Blog > Should You Upgrade Your Home Insulation? Should You Upgrade Your Home Insulation? Insulation contractors often get calls from homeowners asking whether they should upgrade their old home insulation. The easy answer is an overwhelming yes! 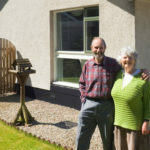 Generally speaking, the only time a home will not need an upgrade to the home insulation is if it was newly built with energy efficiency in mind, or the home insulation has already been upgraded to the best possible level of insulation available. Otherwise, virtually any upgrade will reduce heating and cooling costs, and those savings will eventually pay for the upgrade. Even if you are not anticipating being in the home long enough to recoup the cost of the upgrade, you will often find that the increase in the selling price of the home will more than cover the cost of the upgrade because buyers recognize the ongoing benefit of upgraded home insulation. The only time upgrading home insulation is not a good idea is if it is done incorrectly. For example, an overzealous DIY homemaker may think doubling up on fiberglass batting insulation will do the trick, when, in reality, doing so can cause more harm than good. Another factor regarding home insulation is that each type has certain installation guidelines that must be followed for the product to operate as designed. An unskilled installer who doesn’t follow the appropriate guidelines could potentially reduce the insulating features. Often, just a few hundred dollars’ worth of home insulation can reduce utility costs by as much as 30%, which can equate to hundreds of dollars per year. At Polk County Insulation, we can provide you with a quote for home insulation installation, as well as an estimate of the potential payback period.